We are hard at work to update our lottery apps and will be launching new version of the website as well as news app on March 1, 2019. Look forward to the new and improved version of Lotto Drop Canadian edition, MegaBall and Powerball US edition. We are hard at work and excited to be bringing you the new and improved Android Lotto Drop app soon. Our developers are hard at work adding new features and making updates to the app so that when you think of playing the lottery, Lotto Drop will be your first choice. Unfortunately we can’t give away all of the goodies coming your way, so check back often for more details. Sometimes you can get lucky as shown by the first cheque of $4,065.60 that was sent to us by a BIG winner using Lotto Drop. (See our August the 24, 2015 post) The chances of someone winning the lottery and Lotto Drop app might be the result of that winning could be attributed to luck. We won’t disagree, it can happen. However what about a second winner? What is the chance of that happening? It could be luck again. And we won’t disagree, but is it really luck OR is it because of Lotto Drop app giving them the edge? There is no definite answer, but why not be smart and play the lottery the smart way using Lotto Drop app? Hey it’s FREE for download on Google Play. All we can say is congratulations on your winning! We hope more wins to come to you and thanks for sending us proof. Why not download it today and try your luck with our fun and easy to use app today? Click here to download. Ever wonder if Lotto Drop app might you a winner? Well this lucky person sent us a recent cheque they received from the Ontario Lottery Corporation (OLG) for $4,065.60 to show that using our lottery app, you just might be the next BIG winner. Free Lottery App – Lotto Drop Lite available now on Google Play! All we can say is congratulations on your win! We hope more wins to come to you and thanks for sending us proof. P.S. If you happen to win using our Lotto Drop app, please send us proof. We love to hear from you. Lotto Drop Lite – Lottery Tool – Now Available on Google Play! 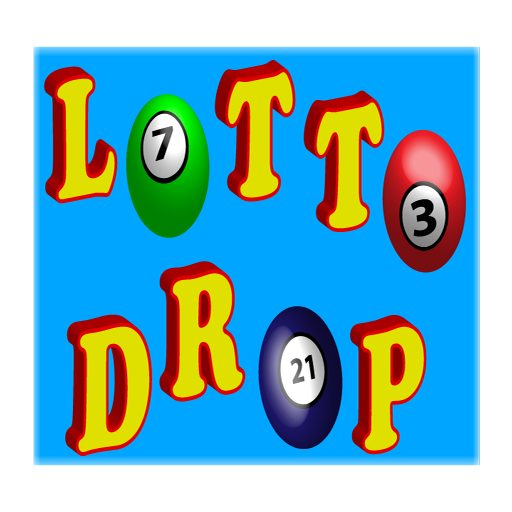 Lotto Drop Lite – Lottery Tool contains all of the functions as the full version, but include Google advertising. 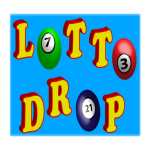 Lotto Drop App is a tool that allows you to play the lottery the smart way. *Note: Can be used in other countries as well where user selects 6 or 7 numbers from a pool of 1 to 49. It was designed to be fun, easy-to-use, and intuitive. The app has four main functions that will help you select your lottery picks in an intelligent way that can better increase your chances of winning the big jackpot. Despite the simplicity of the app, it can also be used by serious players who believe that a system exists that will give you better chances of winning and more often as well. The four functions can be used individually or combined together so that your picks might have greater chances of winning the big jackpot. 1) Include function allows you to include your favourite numbers that you think will be drawn in the game. 2) Exclude function excludes numbers that you think will not be drawn in the game. Numbers that were drawn in the previous game most likely will not appear again for the next draw. 3) Dates function allow you to add your lucky dates and which will translate into lottery numbers. This could be your birthday, when your kids were born, an anniversary or any day that is special to you. Using the option menu, you can send your picks and play as a group using email or SMS (text message). Never worry about not being included in the draw when playing as a group. Email and SMS can help reduce the potential for disputes than can arise when you hit the big jackpot. * Read the ‘About’ in the option menu for more information and how to use the Lotto Drop app. Hello Lottery Players Around the World. It has been a while since we posted anything to this site, but we got some exciting news for you lottery fans out there. We decided to create Lotto Drop Lite with all the full features of the current Lotto Drop App available on Google Play Store. Thank you for visiting Lotto Drop – The Smart Way to Play the Lottery website. In the coming days and weeks, we will be improving our user’s experience with our app and also provide more information on our website as to how to make the best use of our Lotto Drop app for Android. There will be FAQs, videos and any information related to playing the lottery. We want to make our app one of the best lottery app that you can find in the market; one that can potentially help improve your chances of winning the BIG lottery jackpot. That’s why we are really interested your feedback, good and bad, about our app and how we can make it better, more intuitive and fun to use. If you are looking to purchase Lotto Drop on Android Play for your smartphone, here the link.